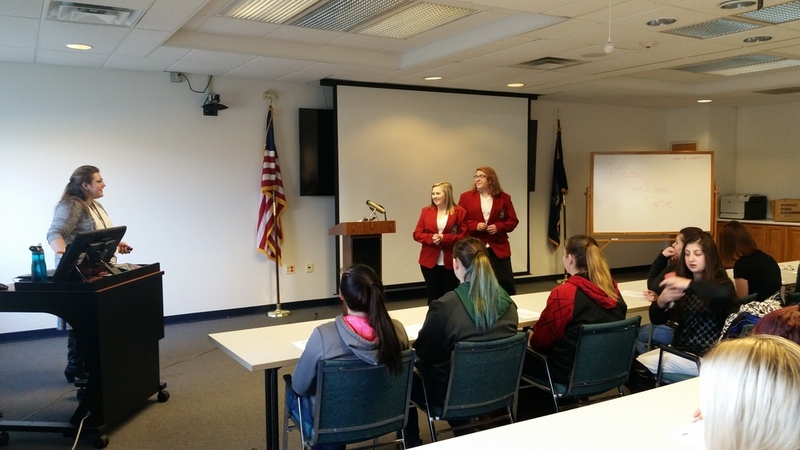 Career and Technical Education students at the Howard G. Sackett Technical Center were recently given a presentation dealing with the topic of dating violence. The event was organized by SkillsUSA members Kacie Marcy and Kali Smith as part of their chapter activities this school year. Carlie Watson, the YEAH (Youth Empowerment and Adolescent Health) Program Coordinator with North Country Prenatal/Perinatal Council, Inc. , spoke to students in both the morning and afternoon sessions. The program topic was “Safe Dates”, a school based program that is designed to stop or prevent dating violence. Overall, the goal of the program is to change dating norms and improve conflict resolution in teen relationships.